The Nike Air Max 720 unit is the tallest Air bag in history. It’s also the latest achievement of Nike’s Air Manufacturing Innovation team. The resulting shoe, however, is testament to how that group works collaboratively with other facets of Nike design. From color to materials, there’s beauty in a synergistic approach. “For example, color needs to strike a balance between amplifying the tech and making its own statement,” says Courtney Dailey, Nike VP of Color Design. The Nike Air Max 720 “Northern Lights” colorways release February 1 in limited quantities at select Nike stores, the SNKRS and SNEAKRS apps and select global retailers. The Nike Air Max 720 “Sunrise” and “Sunset” colorways release February 21 for Nike+ members. 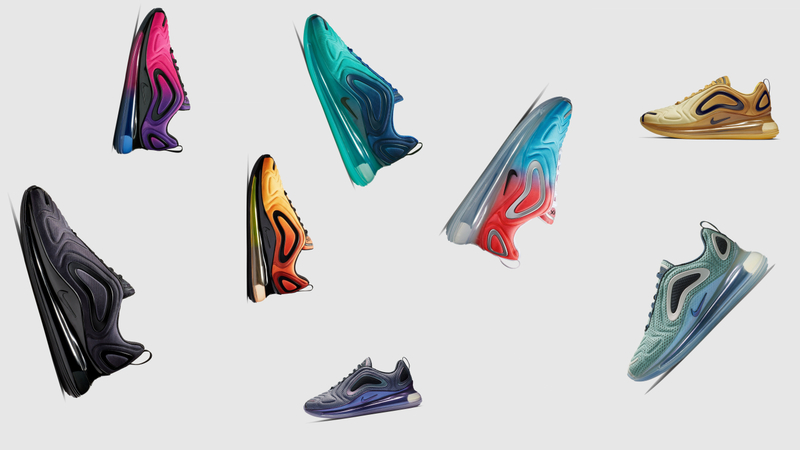 The Nike Air Max 720 “Total Eclipse,” “Sea Forest” and “Pink Sea” colorways release February 28 in limited quantities on nike.com and select global retailers.